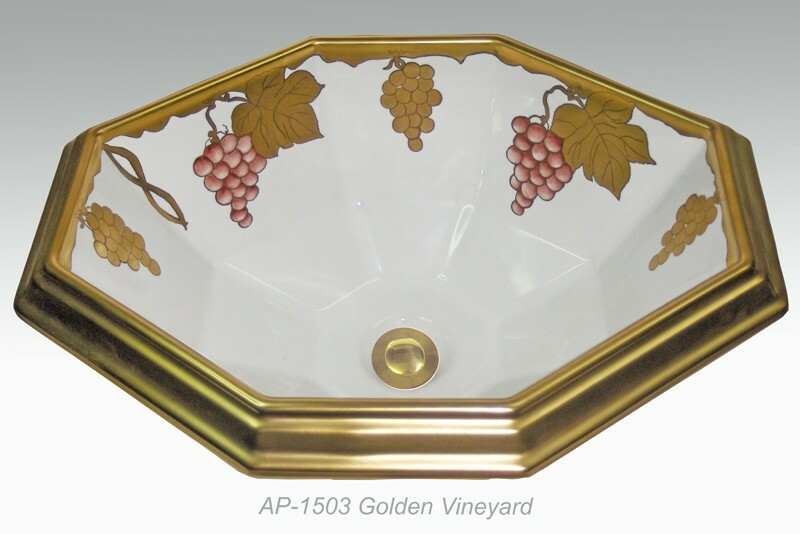 AP-1503 White Seville drop in sink with Golden Vineyard design in Burnished Gold. 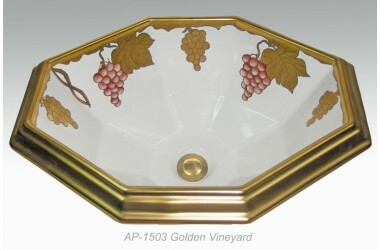 Outside dimensions 20" W x 16" D x 7 1/2" Deep. With overflow.